Misinformation – How do we know what’s true? In an age of social media and misinformation, how can we tell what is actually news and what is ‘fake news”? The best way to stop it is for each of us individually to stop spreading it. Before sharing any “news” on social media, do your research. There are some simple things to keep in mind – if it is a meme, beware! This is not coming from a credible news source and is meant to invoke emotion. 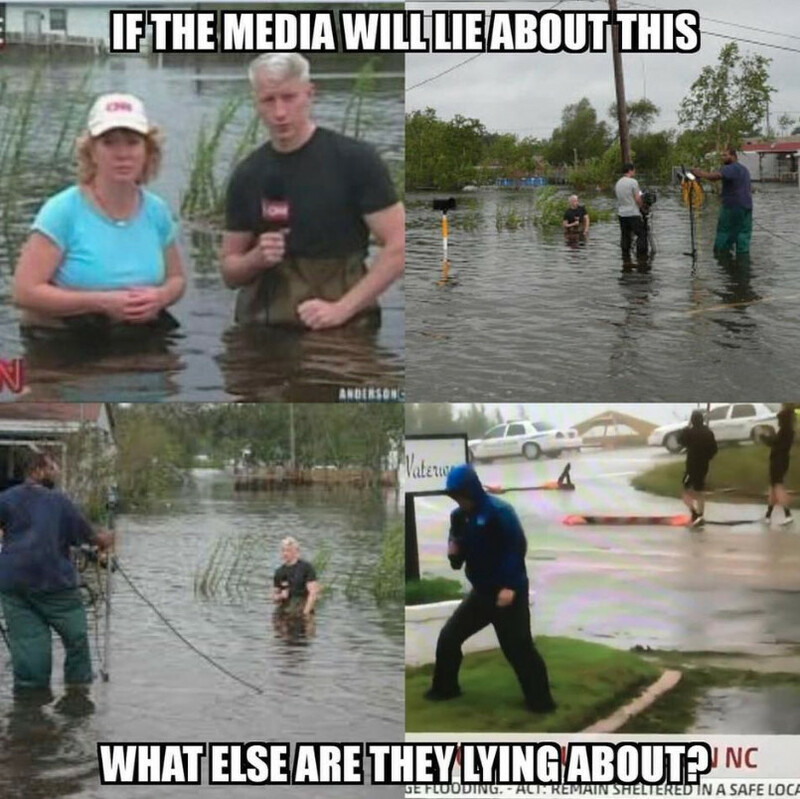 How about the recent one of Anderson Cooper standing in knee deep water while his camera man is not. Did you know that was from Hurricane Ike which was 10 years ago? Yes, 10 years ago, but the meme is going around like he is reporting from the recent Hurricane Florence. Check the backstory on it. Also - beware of the numerous Facebook copy and paste status updates. I keep seeing the one about beating Facebook’s algorithm? 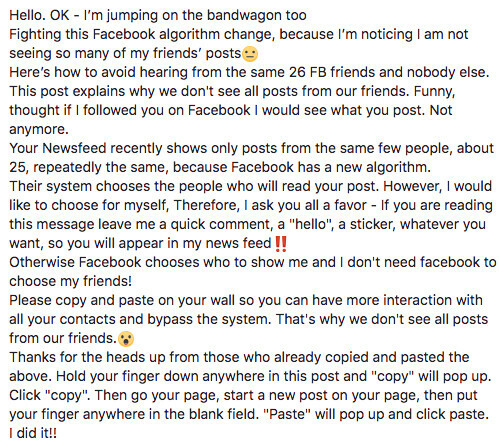 I’m sure you’ve seen this one - It starts like” How to avoid hearing from the same 26 FB friends each day…” Not true. This is according to Forbes, Snopes, CNet and more. Check the domain name and be sure it’s not something off like .com.co For example abcnews.com.co is an illegitimate site although it may appear newsworthy. 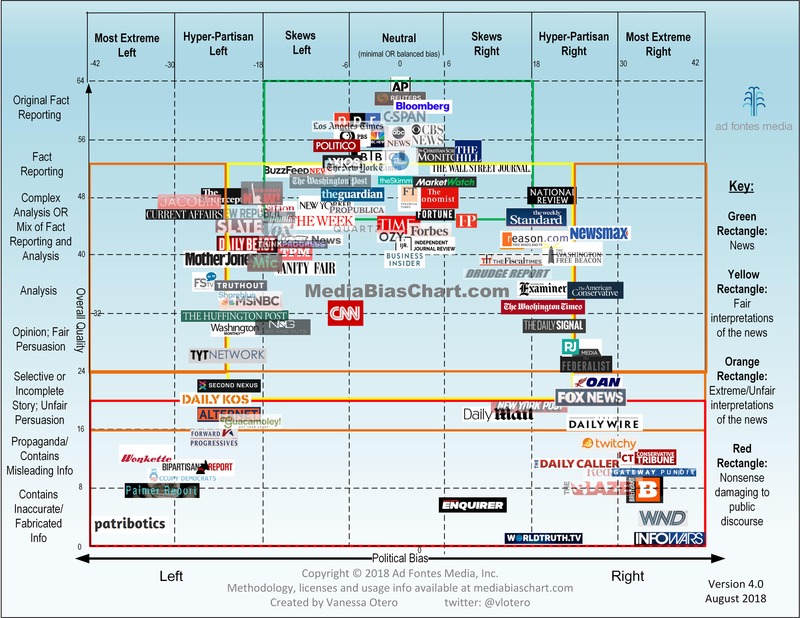 There is also a Media Bias chart that will help to determine whether the publisher is credible. Look for spelling errors. Check the date of the story and be sure it’s not an older story being used out of context. Are there quotes or contributing sources? If not, this should raise a red flag. Check for information from other sites. Go to a fact checking site. There are many options such as FactCheck.org, International Fact-Checking Network (IFCN), PolitiFact.com, or Snopes.com. Want to learn more? Send me your questions and learn how Q can help you with your social media strategy.